Welcome our newest team member – Jeff Lenosky! Check out the video and the story here! We take pride in having every step of our manufacturing process based in the same room, all here in Longmont, Colorado. 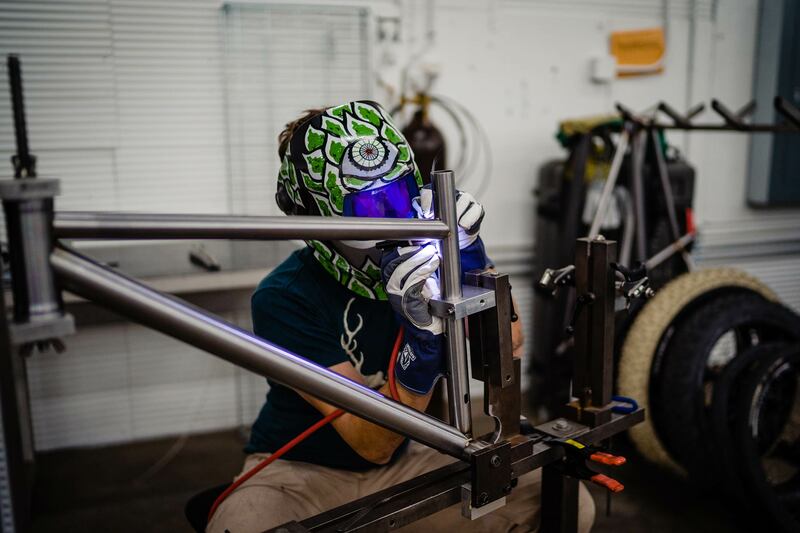 This gives us control over every aspect of the frame building process, while controlling costs, quality control, and turnaround time in a way that overseas-made bike companies can’t even come close to. We can also show you the process – we’d love to include you in bringing your new dream bike into this world! Stop by and see how it’s done. REEB has always been about more than selling expensive bikes. It’s the embodiment of sharing the love of riding, bringing you back to the childhood joy and freedom that only a bike can give you, and spending time outdoors with your friends and loved ones. That’s why we’re super excited to play a bigger part in helping the Can’d Aid Foundation deliver on their mission to get low income kids on bikes. They donated over 2,000 bikes in 2018, and they’ll be doing way more than that in 2019! Each REEB that’s sold will contribute directly to that program. Wanna get involved? Head to the Can’d Aid website to donate or learn more about volunteering at one of the bike builds or giveaway events!